All this month, Jim has been experimenting with a low-fat, raw vegan diet. He discusses his reasons for trying a low fat diet, and how he s been feeling with the changes, in his first and second posts so far this month. Many of you have heard us mention the famous low-fat, raw vegan 80/10/10 diet here on our blog. Well, today I d like to highlight the individual behind that diet. So? 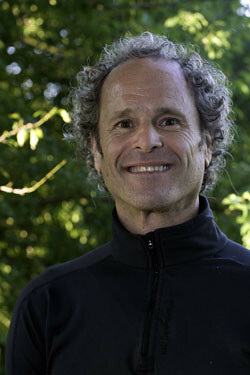 Dr. Douglas Graham is a raw foodist (of 27 years), an athlete, a chiropractor, writer, speaker, and health adviser, among other things. He has been advising world-class athletes and trainers around the world, speaking about heath at more than 4,000 events worldwide, and publishing various health and diet publications for many years. For ten years, Dr. Graham owned and operated a popular fasting retreat in the Florida Keys, where he personally supervised thousands of fasts. He also taught the Health Educator program at Hippocrates Institute. Before retiring to focus more fully on writing and speaking, Dr. Graham also ran a private choropractic practice for twenty years. Some of you are already aware of Dr. Graham s famous book: The 80/10/10 Diet, in which he outlines what he believes to be the optimum diet for humans (at least 80 percent of calories coming from healthy carbohydrates, with a maximum of ten percent each from protein and fat). He also has other health publications available: The High Energy Diet Recipe Guide, Nutrition and Athletic Performance, Grain Damage, and a forthcoming book, Prevention and Care of Athletic Injuries. Dr. Graham is passionate about educating others, sharing his knowledge and observations about health and fitness over his lifetime. I've spent some time with Dr. Graham and his passion for health and education shines right through him. He's a lovely individual, so if you ever have the chance to meet him I hope you'll do so. After reading this article, I really want to meet him. He is jack of all trades. Hats off to him.